Trains will be running on Sunday, departing Sittingbourne Viaduct station hourly 1-4pm. 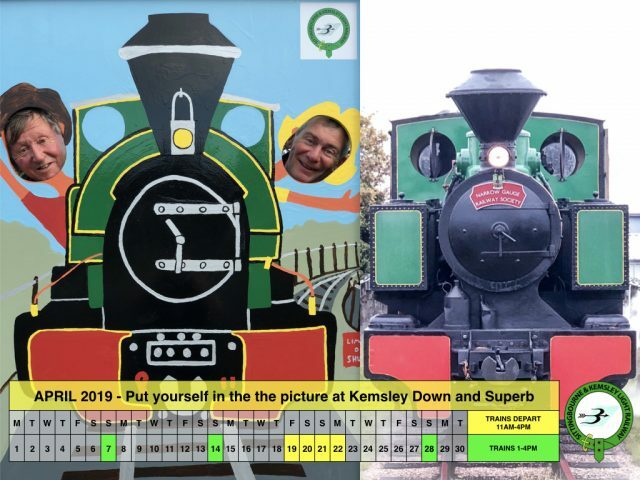 There’s plenty to see and do at Kemsley Down, particularly the Wheels of Time exercise for children, the museum, shop and Footplate Café so allow two hours for a relaxed visit. Trains return at 1.35pm, 2.35pm, 3.35pm and 4.45pm. Our next event will be Four Days of Steam over the Easter weekend (19th-22nd April) with Good Friday Flowers and an Easter Egg Hunt on Easter Sunday.